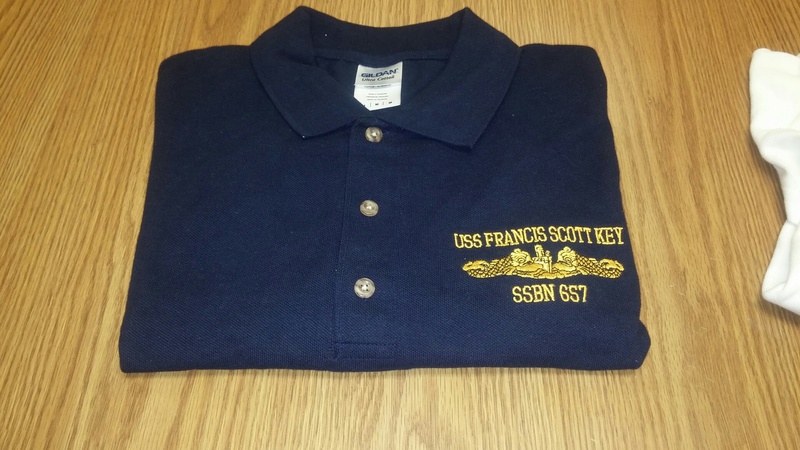 The Francis Scot Key official ship's store is open for all to use. The proceeds go to the KEY Reunion Association. If you buy KEY items from any other source, the KEY Association gets nothing. So support your own shipmates and this web site. Any product questions, suggestions or requests, please e-mail our Storekeeper, Diane Singleman at: diane@ssbn657.com ; or call her at 518-355-2119. Also, Please call or e-mail for a price quote on the shipping. Postage is determined by the total weight of the items. 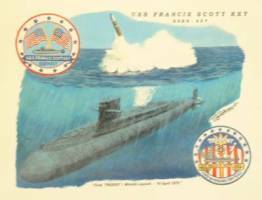 To place an order, make checks payable to: USS Francis Scott Key Reunion Association. 425 E. Campbell Rd. Ext. Has your dome become a bit exposed over the years? 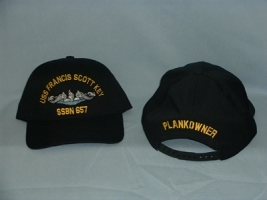 This hat will help- and honor the KEY. 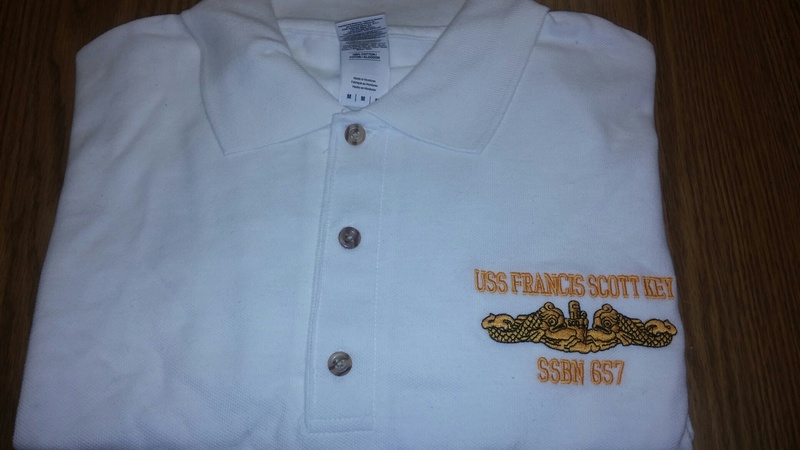 The front side of this shirt has the USS Francis Scott Key with dolphins and patrol pin. You can click on the image for a clearer view. The back of the shirt has the Boomer Pride Runs Deep with a sketch of a sub. The shirt is available in gray or white, each with blue trim. 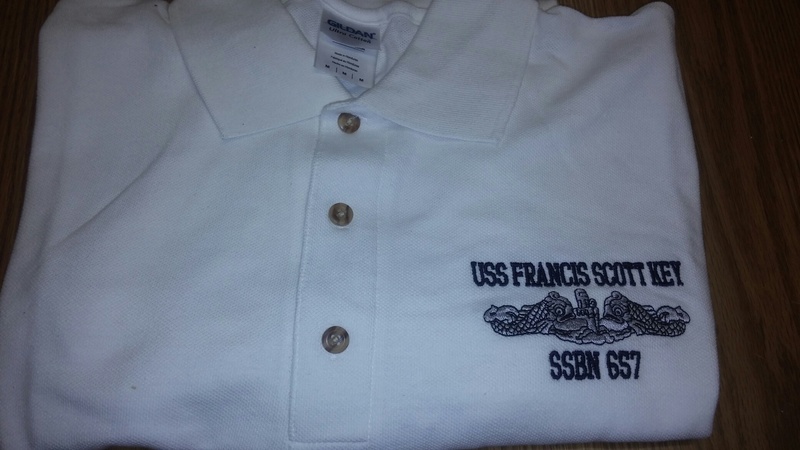 The front side of this shirt has the USS Francis Scott Key with dolphins and patrol pin. You can click on the image for a clearer view. The back of the shirt has the Bother of the Phin with large dolphins. The shirt is available in gray or white, each with blue trim. Short sleeved with collar and 3 buttons. Embroidery on left side of shirt: USS Francis Scott Key embroidered above the Silver dolphins and SSBN 657 under the dolphins. Short sleeved with collar and 3 buttons. 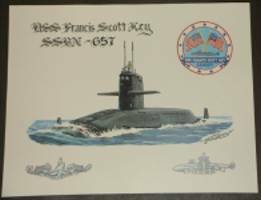 Embroidery on left side of shirt: USS Francis Scott Key embroidered above the Gold dolphins and SSBN 657 under the dolphins. 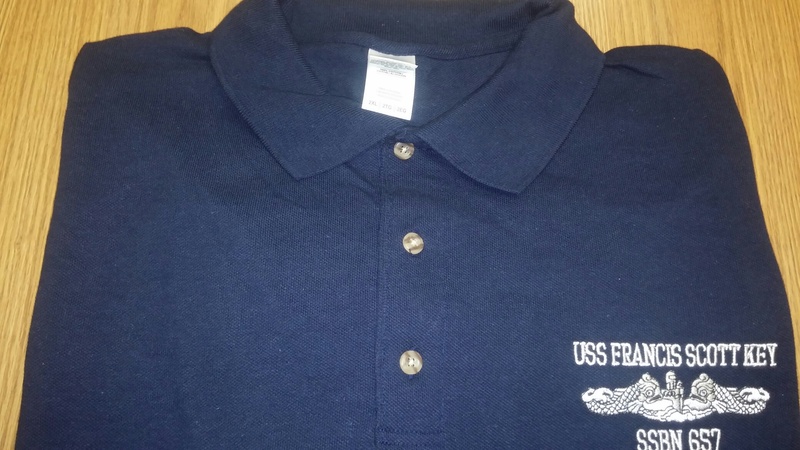 Got to have one if you’re a KEY shipmate. 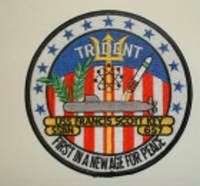 The first Trident missile ever launched from a submarine was launched from the Key in April 1979. 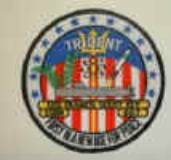 This patch is for the Trident era KEY crews. Beautiful rendition of the Key underway. 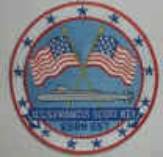 Has gold and silver dolphins and a ship’s patch. 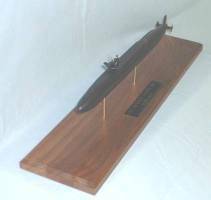 Francis Scott Key Full Hull Model Boat - by Al Singleman-----Cost $200.00 plus shipping cost - available by contacting Al at: 518-355-2119 or al@ssbn657.com. *** If you order multiple items, be sure to contact Diane by phone or e-mail for exact shipping costs. It is often less than simply adding the shipping for each item.